While growing up, everyone has heard the phrase, ‘Don’t let an opportunity go to waste,” or some variation of that. 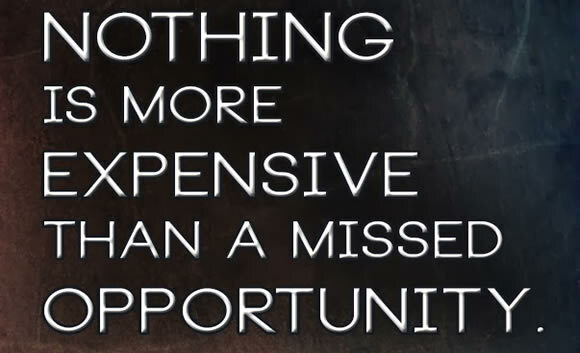 However, no one ever tells you what an opportunity is, just the usual: not to waste it, to take advantage of it, it won’t come again, etc. Opportunity is defined as ‘a time or set of circumstances that makes it possible to do something.’ Basically, an opportunity is a situation which allows you to take advantage of it. It creates such a situation, at just the right time and circumstances that it allows one to seize it and make progress. The word, opportunity, comes from the Middle French ‘opportunité’, which in turn come from the Latin ‘opportunitas’ It is a favorable circumstance or occasion that allows a chance for advancement, progress or profit. There can be many different types of opportunities: a business opportunity, an educational opportunity, a career opportunity, the ladder of opportunity, the land of opportunity, equal opportunity, photo opportunity, etc.